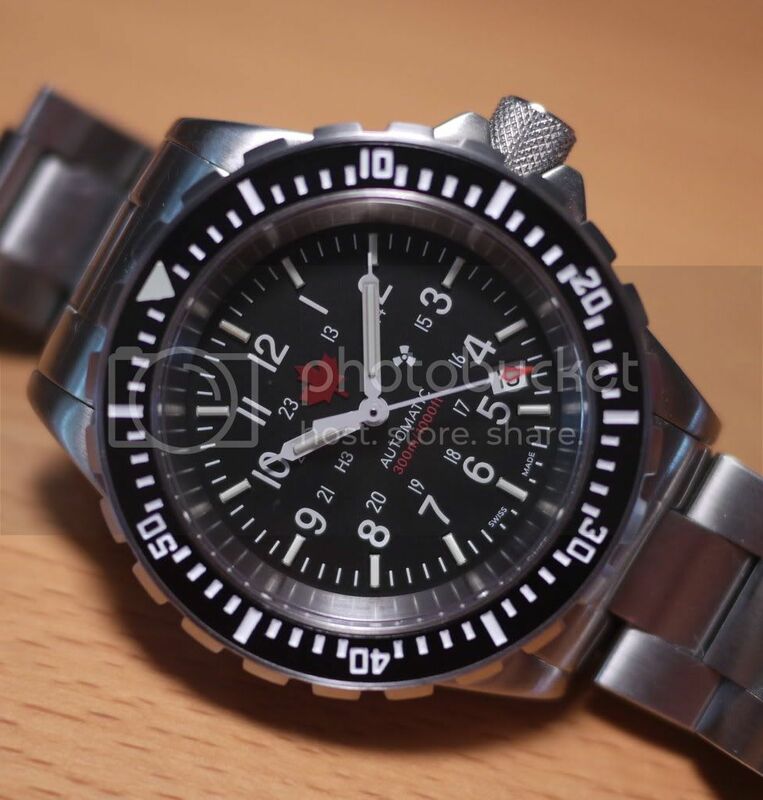 I have been thinking about trying a Marathon watch with tritium tubes for a while, to keep my NVA Ruhla company. Weight of head 93.1 grams"
"This watch is made in accordance with ISO 6425 and Government of Canada requirements. As well, this watch is manufactured in accordance with GSA Stocked Item Purchase Description-Now under contract to GSA (US Government). 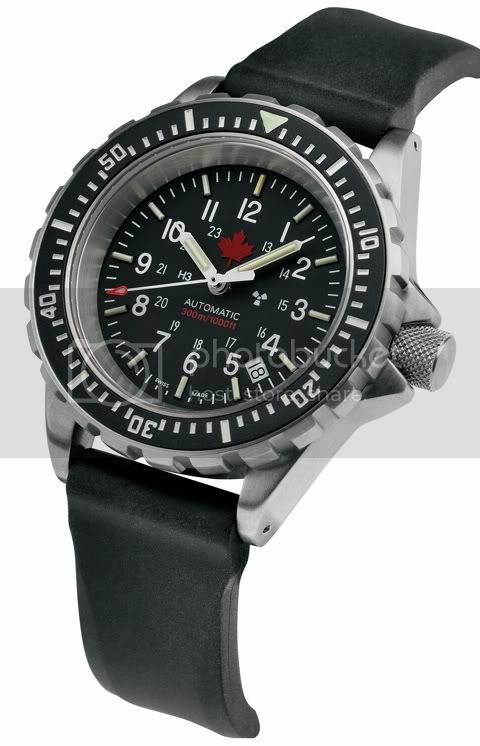 Note: This watch is available only to Government and approved Departments and Ministries"
Made by the Marathon Watch Company for contract to the Canadian Government for issuance to their SAR-Techs. In November 2009 the Canadian Department of National Defense commissioned a limited production run of GSAR Automatic Divers Watches for some very special members of the Canadian Forces. Only 500 pieces were made, and we are fortunate to have received a very few. We Have Been Told They Will Not Be Made Again. Collectors: This May Be Your Only Chance To Receive What Will No Doubt Be The Rarest Watch In The SAR Dive Watch Family. Watches Feature A Bold Red Maple Leaf Appliqué (Not Painted) Dial". Anyway, I just bought one from Broadarrow, which should be here in a couple of weeks. It worked out at just over £500 (on rubber) with shipping and the current lousy exchange rate. Last edited by StampeSV4; 23-02-2010 at 17:15. I'd be interested to know how you like this. I've been thinking about a GSAR for a while but never quite got around to it. This might be the push I needed . Great! Another one to add to the list. It never ends...probably best not to hang around too long if you want one of these, as they are limited.